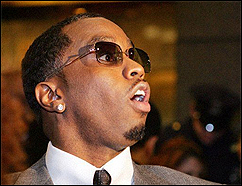 NEW YORK (CelebrityAccess MediaWire) — Sean "Diddy" Combs has been slapped with another lawsuit, this time by a hip-hop promoter who alleges that Diddy's bodyguards violently assaulted him upon Comb's orders. In a copy of the lawsuit obtained by TMZ.com, NYC promoter James Waldon asserts that on June 1st, that while sitting in a booth with Combs at a club called "The Box", Combs signaled to his hired goons to "forcibly remove" Waldon after Waldon attempted to speak with Comb, resulting in injuries to his mouth and teeth and leaving Waldon with lacerations and bruises. Waldon also claims that the club bears responsibility in the incident as the managers allegedly were aware of Comb's reputed reputation and "history of involvement in altercations in nightclubs across the country." Waldon is reportedly seeking $4 million in damages from Combs and his entourage and $500,000 from the venue.